>Monday and it’s off to the Start Night at Hampstead. Four 30 minute-ish extracts / whole plays in development. A wide variety of voices. I like the way that they encourage written rather than a surfeit of verbal feedback. Playwright Amy Rosenthal compèred to the full house. It was nice to run into Anthony Clark – nice because he’s a nice man and nice because he remembered me from his time in Birmingham. Now I think about it, he brought a company of actors in for a weekend’s work when I was doing an MA there. 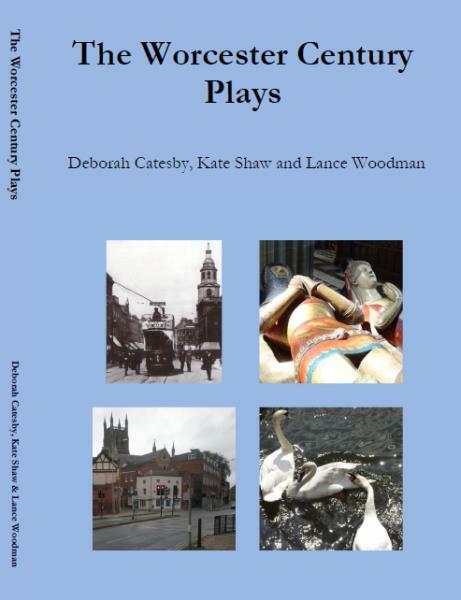 They worked on an early draft of my script for the first of The Worcester Century Plays. His notes were precise and helpful. Tuesday was teaching in Birmingham. For the first time since moving here I overslept and had to miss breakfast to make sure that I caught the train. When I got off the train 3 hours later, I left my lucky hat (don’t ask) behind. The rest of the day oscillated between me telling myself that I’m not superstitious (but see above re. ‘lucky hat’) and waiting for the third bad thing to happen. So far, so good.